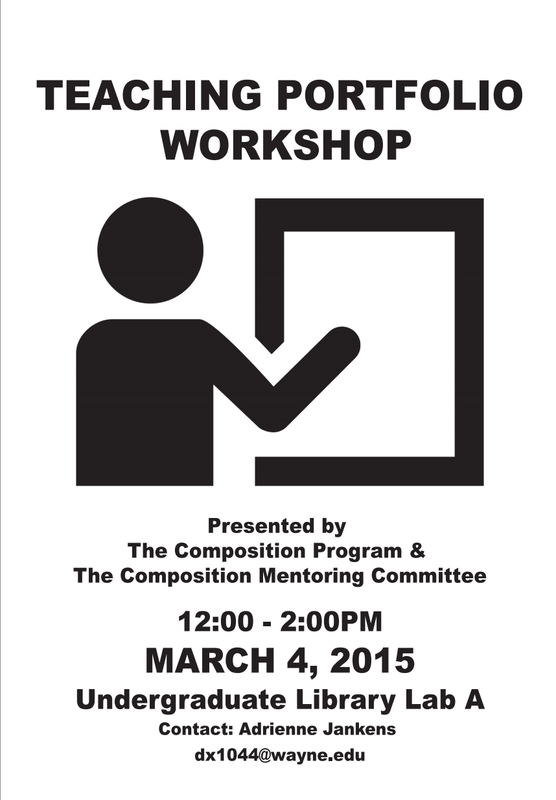 The Composition Program Mentoring Committee will be hosting a workshop on developing teaching portfolios on Wednesday, March 4, from 12-2 p.m. in the UGL Lab A. All instructors and graduate students are welcome to attend. Participants are invited to work on their portfolios throughout the workshop, and should come ready to develop at least one portion of their portfolio during the session. Presenters will share examples of portfolio components, including c.v.s, teaching philosophies, academic biographies, teaching evaluations, and sample assignments, lesson plans, and student papers, and will be on hand to offer suggestions and technical support.